Resignations are in fashion. People are giving their awards back. Writers and ‘Rationalists’ are being attacked. Surely, this must be a new low for the Indian democracy. The Emergency is back they say. There are attempts to curb free speech they say. Dissent and criticism is being muzzled they say. Surely free speech as the Indian intellectual establishment knows it is under attack. The important phrase here is understanding of what is free speech as per the major Indian intellectual system. 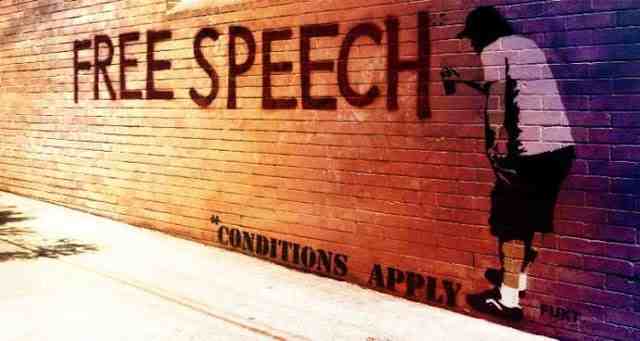 ‘Free Speech’ in India works within the carefully crafted compartment of political correctness established by intellectuals of a particular ideology through the ages. Anything outside this compartment, howsoever genuine it may be, is disregarded by this establishment. Through generations this control over the media and scholarship has resulted is creating a typical identity of an Indian intellectual who knowingly or unknowingly adheres to this artificial control over the narrative. This compartmentalization and political correctness and free speech can be equated with Islamic blasphemy laws. The propaganda and the resulting inequitableness for for all to see these when one compares the absolute silence to the same individuals when similar attacks were taking place and still take place on individuals adhering to an ideology not supported by this establishment. As and when this 'holy nexus' stands questioned, the verbal diarrhea from this intelligentsia kicks into gear, which to be honest, today sounds very compelling to any person looking for an unbiased outlook. The people born in times of this propaganda, sympathize for them and work for the so called victims. Interestingly, there remains a class which has been unaffected by this intellectual ‘cleansing’ and has been consistently tapped into for political gains by the Right. Today, all pathetic charade by these bigoted ‘intellectuals’ is nothing but frustration as their ideological sand castle is about to fall and they can’t bear government that doesn’t support their biases. With their grip on education, research and media, the meaning of facts or historical perspective is forever lost. As once the narrative of something is muddied, no genuinely unbiased author wishes to enter it as he knows it will be impossible to present facts without being labeled by either forces. This propaganda must never be underestimated. Before you think that this is a post by some pot soaked Communist hallucinating in an imaginary World of conspiracy theories, wait. The biggest power of propaganda is that it can’t be seen. Through times and generations, it shapes and moulds minds into a well oiled machine to think, believe and adhere to what propagandists want you believe and how they want you to think. It is the entire ecosystem that works towards a particular end. 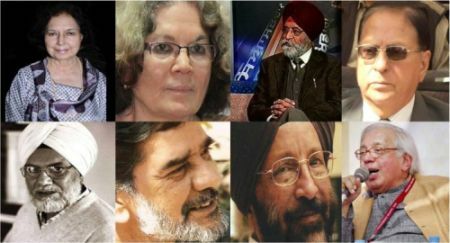 From peer review to promotion, to media air time, the entire class is flooded with people from a certain ideology and they promote people of that particular ideology which is much like casteism, where a particular caste person is protected and promoted by the similarly or higher placed person from the same caste. The only difference being, there are many castes in India and the system at least tries, to balance out, whereas, the intellectual system is India is like a slippery slope. This brings to the next element, deception. Deception is something that works within the propaganda. Having an ideological bias is fair, but hiding such a bias is intellectual fraud. This neutrality hurts the gullible fair minded scholar the most who is only looking a ‘balanced’ narrative. Through history, there are clear concreted attempts to create an aura of neutrality around the process. Once these ideologically soaked ‘entities’ are able to portray their non-partisanship, the fraud is complete. The perceived neutrality around most of these scholars in India is what baffles me the most. To establish their perceived neutrality, the contemporary qualification was the ability to criticise the Congress and Jan Sangh/RSS/Muslim League (Note: The reference to these organizations in one sentence does in no way equate them like Mr. Digvijay Singh would want to, if he ever reads this.) at the same time. These scholars were celebrated, promoted and heralded as saviours of scholarly work. Their disdain for anything Centre-right was to the point that they would question its very existence, and at the same time they would criticise the Centre-left merely as a naughty child(pun intended). When the Marxist narration is considered the balanced narrative in your country, you know there is a problem. As and when a young impressionable mind seeks to acquire ‘knowledge’ or information of the subject of scholarly value, he is bombarded with the narrative shaped by an existing lopsided ecosystem, which is now so entrenched, that it seems ‘neutral’. In fact, it is the biggest strength of the left-wing in India, the ability to portray themselves devoid of any ideology and market themselves are truly neutral genuine scholars. When Ram Guha in an article in The Caravan (or the Communist Monthly), while making a desperate attempt to seem neutral, calls for increased presence of right wing scholars and journalists and contemplates on the lack of right wing intellectuals in India, he fails to question the system itself. After all, what makes the Left leaning scholars, which he shamelessly names, so big or eminent? While Mr. Guha names learned Arun Shorie as the lone right wing voice, that couldn’t be more short sighted. I cannot excuse him for missing out on naming Mr. Shorie’s contemporaries like B.L. Lal, Keonraad Elst, Sita Ram Goel, Ram Swarup, Ram Jethmalani, etc. and missing out on the modern intellectuals like Arvind Panagaria, Sanjeev Sanyal, Bibek Debroy, Surjit Bhalla, Swapan Dasgupta, Rajeev Malhotra, Arvind Neelakandan, Sadanand Dhume, etc. The problem with the right wing, contrary to what Mr. Guha may believe, is not the ability to produce intellectuals but their inability to shamelessly masquerade themselves as neutral and sell their scholarly work to the benefit of a particular political class. I really wish when Mr. Guha tries to pass a judgment on the scholarly value of the right wing, he reminds himself of his ignorance and his inability to appreciate the ideas and depth of the issue due to his own ideological leanings. The right wing in India has consistently produced brilliant minds doing immaculate research and the shame is that they were never regarded as ‘eminent’ as the system always worked against them. The system always labels them as ‘right wing’ creating question over their ideologies even if their work is scholarly and well reasoned. So when anyone reads Romila Thapar, she is considered as neutral and eminent and at best, Keonraad Elst would be considered as well researched but ‘right wing’ and ridden with ideologies when the truth is that ideologies have affected both of them and their work, equally. The need to examine their works dispassionately and attempt for a reconciliation. Our intellectual system’s history is one of long term filtering, labeling, muting and disregarding of anything that didn’t fit the left-liberal (to me this term, in its real meaning, is an oxymoron) narrative. The media, the movies, the dailies, the magazine, the novels, the TV programmes, the news, the research, nothing remained untouched from this and it has confused the psyche of millions. Following Mr. Guha, Sagarika Ghosh and Aakar Patel have tried to write articles on the same lines, but I am not going dignify them with an answer. I genuinely believe in the cliché that truth lies somewhere in the ‘Centre’ and governing through ideological purity is a detrimental. But what if the perceived right and left on the ideological spectrum were both actually left of center with a genuine right wing voice being muted? It is then, the regime gives birth to censorship and lies, which were being perpetuated ever since. It is then the truth is lost because there was and has been no Centre. There was no counter narrative and no opposing voice. People generally relate censorship in India with the ideological conservative but the irony is that the biggest censorship in India was done by the so-called liberals in in India. The right to question was only available to a select few or to people who fit the ideological framework. Now ironically, when the right is able to stand up to the west, there have been calls by the left for a “post ideological world”, which devoid of any biases and free from control over information seems to be fair world. And as we know, the left has immense propensity to indulge in utopian hallucinations. The attack on free speech is not through isolated incidences, rather what kills free speech is a well crafted propaganda and muting of counter narratives. For true growth and development, liberalism and conservatism, the right and the left, have to contribute equally and there may be time when ideology take the lead and other has to act as the counter acting force. If anything has harmed the discourse of free speech in this country, it is the singular control of the left on the intellectual establishment and media. So to all the ‘dissenters’, resign-ers, objectors and outragers, the game is on. Now stop behaving like the rich spoiled brat who owns the cricket bat who runs away with his stuff at the first hint of a challenge. I write this with hint of regret as I had expected a better from you. But I’m naïve and hopeless optimist. I make mistakes.